It’s no understatement to say that health care is on the minds of most Texans and Americans. Poll after poll shows health care eclipsing the economy or job security as individuals’ top concern for themselves and their families. To be sure, job-security, the state of the economy and health care go together, with a majority of Americans receiving health insurance benefits through their employers. Last year, spending on health care in the U.S. rose by the largest amount in three decades; it now makes up 17 percent of total economic activity. These rising medical costs translate directly into higher health insurance premiums. 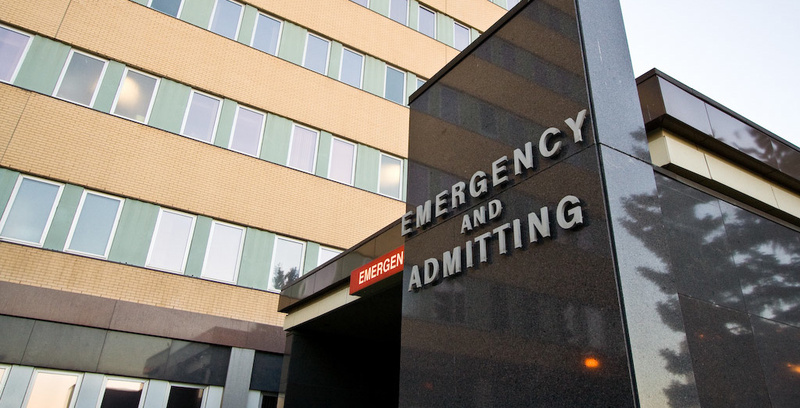 Each year, more and more business owners tell us that surprising and exorbitant out-of-network medical bills from facilities called freestanding emergency rooms are taking up a larger chunk of their health care budgets. Freestanding ERs sometimes use misleading advertising and often charge patients up to 10 times more than they would pay for the same services at similar-looking urgent care centers. The result? Texans often confuse freestanding ERs for urgent care centers, which are typically in-network, meaning they’re covered by most employee insurance policies. Some are told by freestanding ERs that their insurance is accepted — but find out later that they are not in their health plan’s network. That can mean thousands of dollars in surprise medical bills. Consider the experience of one Texan from the Dallas area — insured by Blue Cross Blue Shield — who visited a freestanding ER for stomach pain and ended up being treated for an ingrown toenail as well. He asked if the facility accepted his insurance and was told it did. Later, he received a bill for $53,000 for the treatment, which he is responsible for because the facility was not actually in his network. Patients like this are being misled, price-gouged and taken advantage of across the state, receiving similarly outrageous bills from freestanding ERs, which can find it more lucrative to avoid insurance’s limits on what they can charge for their services. Blue Cross Blue Shield of Texas made an effort to invite all known freestanding ERs in the state to join their network in 2016. Not a single facility accepted, except for one. A number of Texas legislators have heard the horror stories from their constituents about freestanding ERs, and they’re taking action. State Sen. Kelly Hancock, R-North Richland Hills, has introduced legislation that would allow consumers to challenge surprise bills from freestanding ERs using the process of mediation. That option brings together the insurer and the provider to work out an agreement, largely leaving the patient out of the dispute. As promising as that proposal is, it would ultimately only apply to Texans employed by businesses that purchase “fully insured” health plans. These are plans where the employer pays premiums directly to health insurance companies, who assume all risks. In Texas, roughly 60 percent of insured individuals work for employers who choose a different option for health coverage: “self-funded” plans, in which businesses assume the risks by paying for the majority of the health claims themselves. For the majority of insured Texans, it’s critical the Legislature take additional steps to restrict the misleading practices of freestanding ERs. Another Hancock proposal, Senate Bill 2064 (a companion, House Bill 3867, was introduced by State Rep. John Smithee, R-Amarillo), would ensure that Texans have the protections against price-gouging in emergency medical situations they now have in natural disasters and other emergencies — giving the state authority to intervene when a freestanding ER bills a patient for unconscionable charges. Just as important, Sen. Larry Taylor, R-Pasadena, and Rep. Tom Oliverson, R-Cypress, have introduced pro-consumer bills (SB 2240 and HB 3276) that would significantly increase transparency. These proposals would require freestanding ERs to provide clear and easily understood information to patients upfront about their network status and not mislead patients. Collectively, these three solutions would go a long way toward better protecting Texans from exorbitant charges at freestanding ERs. It’s a top priority for Texas business owners and the men and women they employ, and we hope every member of the Legislature will agree. Why strip UT students of opportunities?